The world’s biggest acne online store is Amazon. But it’s not necessarily the best. This article takes a look at what goes into a good online store and what Exposed Skin Care is doing to model the best online acne stores. An online acne store is better than a more general site like Amazon, because they offer a variety of products for different skin types, and they specialize in acne. 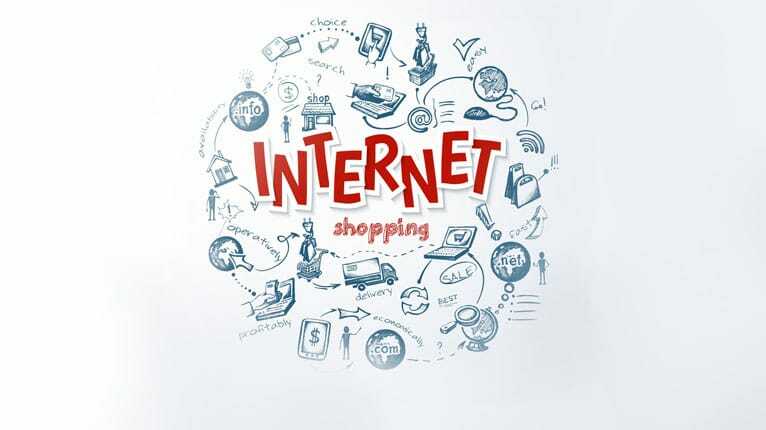 Online shopping gives you more product choices and 24-hour convenience. Amazon is the world’s largest retailer of acne care products, but they are not necessarily the best. Amazon encourages you to keep trying new products, rather than offering you the lowest prices on products you know will work. An acne online store can be a better option than Amazon. The best online acne product stores offer a variety of acne products for a variety of skin types, but they specialize in acne and know what they sell. The best online acne product stores believe in what they sell, and back up their claims with a money-back guarantee. Why Not Get All Your Acne Products from Amazon? There is a lot to said for online shopping at Amazon. It offers a mind boggling selection of products. You are sure you will get delivery or you will get your money back. Products that are fulfilled by Amazon sometimes are shipped without delivery charges, and if you live in the United States, you won’t have to pay sales tax (at least not yet). But there are good reasons Amazon is not the ideal acne online store. Amazon is not in the business of giving you products that will clear up your skin. Amazon is in the business of getting you to buy products—and the more products, the better. After you buy one acne care product and you are beginning to see benefits, Amazon will probably suggest that “since you bought” the first product, maybe you should try a second. If you don’t know exactly what you want, and keep using it long to know for sure whether it works, you may never find the acne care products you need. Amazon also is not in the business of establishing long-term customer relationships for the manufacturers whose goods they sell. If you buy direct from the manufacturer of an acne care product chances are you that you will be offered special deals that are never offered on Amazon. From time to time Exposed Acne Care, for instance, offers all of its products for 40% off. This doesn’t happen on Amazon. And if you buy from Amazon, you will pay more. The manufacturer has to give Amazon a percentage of each sale—and you pay it. The best sites for buying acne products are sites that only sell acne products. You are more likely to be getting products that are specifically made for treating acne. If you contact customer service at Amazon, they can give you information on shipping and billing and the use of your credit card. If you contact customer service for a vendor of acne products, they can talk with you about acne. Most online stores that sell acne products and only acne products give you better products at a better price than Amazon. But some online acne product stores are better than others. The best online acne product stores offer a variety of products. They don’t promote any one product as the “acne answer” for everyone. After all, people who have acne have different skin colors, different degrees of skin moisture, different sensitivities to chemicals and botanical ingredients, and, yes, different budgets. Some who has fair dry skin prone to rosacea does not need the same acne care products as someone who has dark oily skin and a problem with blackheads. The product that works for one person who has acne may not work for the next. And the products you need to clear up acne may not be the same products you need for ongoing clear skin maintenance. Let’s give one good online store for acne products a closer look. Exposed Skin Care is a great example of a great online acne store. One of the first things you will notice about Exposed Skin Care products is that they come with a one-year money-back guarantee, the longest return period offered in the business. If there is the slightest doubt whether a product has worked for you, you can ask for your money back. That is not something you can do with most other online acne stores. The next thing you will notice about Exposed Skin Care is that it offers a variety of acne care products. Maybe you already have a cleanser you are happy with but you need to do something about sensitive skin. You can try their probiotic product—symbiotic bacteria in your digestive tract teach your immune system how to respond to bacteria with less inflammation. Or maybe you have got your acne under control but your need some easy and inexpensive way to treat scars and brown spots. Exposed Acne Care offers a microdermabrasion cloth that you can use over and over again, for less than 1/10 of what you would pay for a preliminary evaluation at the dermatologist’s office. Or maybe you are looking for a good moisturizer. The one-product-cures-all acne product sites don’t take into account that you may have already nearly perfected your skin care routine. Not everyone who has acne needs every product. On the other hand, it you are just beginning to get acne under control, chances are that you need multiple skin care products. A good online acne store like Exposed Skin Care offers bundles of products at a discount—and you will know that they are all compatible. There should be different options for different skin care needs, more products for people who are just beginning to treat acne, and fewer products for people who need clear skin maintenance. Finally, a good online acne products store should be owned by people who believe in their products. Claims that product will get rid of blemishes in 24 hours or in 3 days should be met with skepticism—especially if the sellers of the product don’t offer your month back if it doesn’t work for you. But if a site claims that 98% of users of their products get clear skin in 30 days, and then backs up the claim with one-year money-back guarantee, you can have a lot more confidence in their claims. There are certain kinds of acne no one should try to treat on their own at home. Cystic acne nearly always need prescription retinoids (although you might get some benefit from tretinoin topical). Acne conglobata can’t be controlled by any product, either over-the-counter or prescription-only, that you put on your skin. And steroid acne requires immediate changes in steroid use, not acne products. But if you have mild to moderate common acne you can get the products you need from an acne store online. Just be sure to stick with the store with the best prices and the best service.